Nous sommes ravis d’annoncer que le célèbre jeu de rythme en VR Beat Saber sera disponible pour le lancement d’Oculus Quest ! Découvrez la bande-annonce du jeu dans lequel vous pourrez défier le rythme de la musique. Beat Saber is an award-winning VR rhythm game where your goal is to slash the beats which perfectly fit into precisely handcrafted music. We’re amped to be working with the development team to bring this to Oculus Quest! Last week, Beat Saber hit a major milestone with over 1M copies sold. And today, we’re excited to confirm that this high-energy fan favorite is joining the Oculus Quest launch content lineup! To celebrate this highly anticipated announcement, we sat down with Dvorak for a deep dive on the title that The Verge called “one of virtual reality’s most popular and critically lauded games. 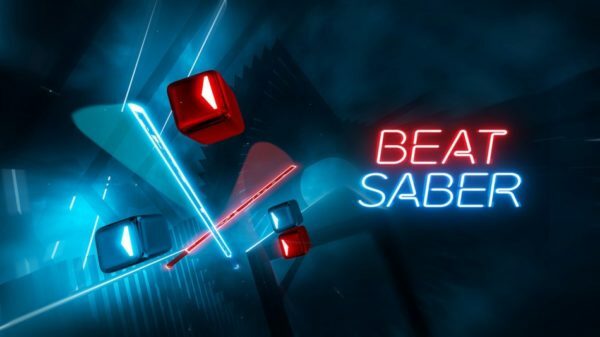 What’s the story behind Beat Saber? Michaela Dvorak: The development started back in 2016 when Jan Ilavsky, lead developer at Beat Games, decided to buy a VR headset. He tried several games, but nothing really caught his attention. Back then, he was trying to figure out his next game idea, so he looked into the development of VR games in Unity and, several hours later, he had the first Beat Saber prototype ready. Further development took Jan and Vladimir Hrinčár about a year and a half (with a few pauses), and the feedback from early players was awesome. Jaroslav Beck joined the team to boost the game with his energizing electronic beats, while Jan with Vladimir were polishing the game to perfection—and that’s exactly what people love about it. Even though we released Beat Saber in Early Access, the depth of details is extraordinary. How would you describe Beat Saber to someone who’s never played it before? MD: You’re a dancing superhero, your dance moves are epic, and you’re working-out at the same time—jackpot! Do you think the introduction of 6DOF Standalone VR will help bolster the community and contribute to continued innovation in the PC VR space? MD: Yes, absolutely. Free movement in VR is very important, especially with games where you have tomove a lot. For me, the biggest plus is the accessibility of these types of devices. No PCs, no cables, no waiting—you just put it on and play. You can take it anywhere with you and show it to your friends and family. With standalone headsets entering the market, more people will be excited to get into VR. The more people join the community of VR players, the more attractive it becomes for developers. This is an amazing way how to boost the VR industry. I think we are moving in the right direction. And with Standalone VR, we can move literally everywhere, right? What do you think the industry will look like 10 years from now? MD: I am 100% sure that Oculus Quest will change everything. VR is going to finally become a technology literally for everyone. No limitations—not the space, nor the price, nor overcomplicated setup. VR is going to break into our lives and give us totally new possibilities. MD: There’s something happening on the team all the time. At the moment, I’m super excited for GDC. For the future, I plan to bring our players a fresh new merch collection—complete with sports clothing that definitely comes in handy when playing Beat Saber. We also have some pretty big plans in the works, so this will be an exciting journey. Stay tuned! Mots Clefs actualitesjeuxvidéo.fr, AJV, Beat, Beat Saber, news, Oculus, Oculus Quest, Oculus Rift, Quest, Saber, VR. Bookmark the permalink.